We repair Speedometer Heads and Analog and Digital Instrument Panel Clusters of most Car Makes and Brands from all over the world. We repair most mechanical speedometers in the world including antique and new. If you don’t know how to pull the speedometer out of the car, we’ll tell how. 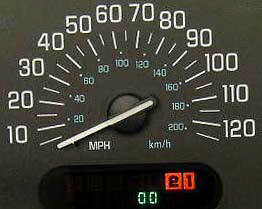 We can also sent you an advanced exchange speedometer so you don’t miss a day in using your vehicle. 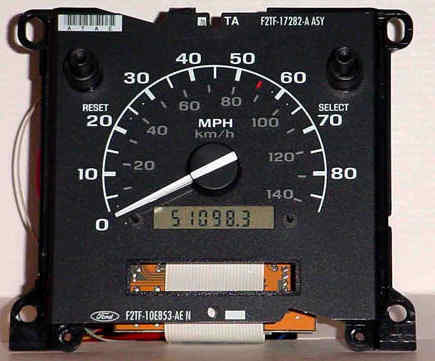 All of our repaired speedometers are better than brand new... because we perform all bulletins and updates available for every speedometer, not only for those currently wrong. For local customers we can repair or exchange your speedometer while waiting and of course pull your speedometer out of the car. Within 50 miles, we can even pick up your speedometer and deliver it back... usually on the following business day.